With only being a couple of minutes drive from Studley, our dog grooming parlour in Astwood Bank, Redditch is designed with your dog in mind. The new grooming parlour is kitted with all the latest equipment to ensure the dog grooming session is more of an experience than a necessity. Our main aim in all grooming sessions is to give your dog a real pamper and take out any stress that is usually associated with this process. This positive approach to dog grooming will show every time you bring your dog to us. There’s no better time to pop into our dog grooming parlour in Astwood Bank, Redditch, just 2 miles away from Alcester. At Maisies Pet Boutique everything is designed around the comfort of your dog. Our number one aim is to ensure that during the dog grooming service your dog is at ease and relaxed making it a more enjoyable visit for them and you. 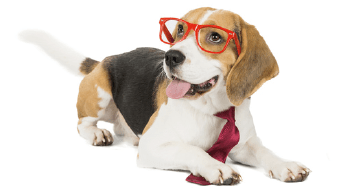 This positive experience will reflect in how your dog responds to future treatments. We have facilities to cater for all dog breeds no matter how big or heavy they are. Our modern and safe equipment is the latest on the market and we only use natural dog shampoos and dog conditioners that are paraben free, SLS free and hypoallergenic. You can rest assured that your dog will look and smell fantastic after the dog grooming service. With a growing client base in Studley, we offer a tailored dog grooming package to suit your dogs requirements, so if you simply require a basic bath and brush or coat clip then please let our professional groomers know. Rebecca Bsc (Hons) professional dog trainer offers Dog Training of our Studley clients on an individual basis, tailoring training and canine behaviour techniques to the needs of the dog and owner. 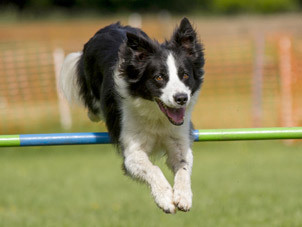 Dog agility training is a great way for you and your dog to have fun whilst keep fit and agile. The agility training sessions will also help enhance your relationship with your dog.